In the Tampa Bay area, October can easily still feel like August. First, the bad news: In the Tampa Bay area, October can easily still feel like August. 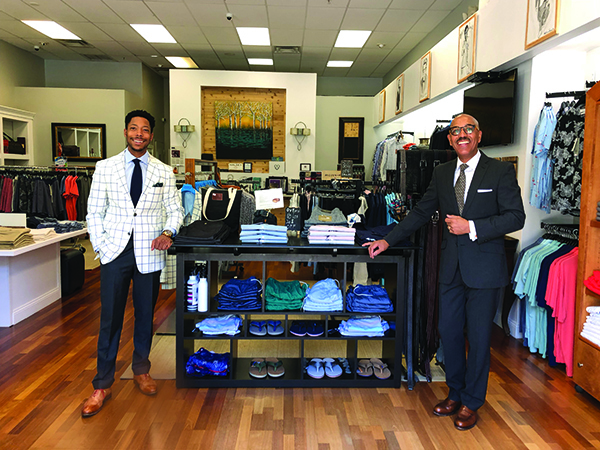 Now for the good news: There are experts like Jose Martinez, owner of Sartorial Inc., to help you look professional and on top of your game at all times. At his sharp little shop, located just off Beach Drive in downtown St. Petersburg, Martinez stocks an array of work-worthy styles and brands. 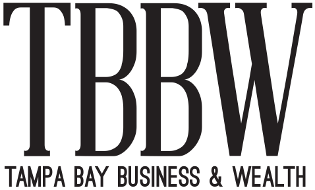 And because he’s got his eye on the men’s fashion shows in the United States and Europe, Tampa Bay Business and Wealth reached out to find out what he thinks is (literally) cool in men’s business attire for fall. Spoiler alert: shirts are getting exciting! Q: Despite the heat, October definitely has a “back to business” vibe about it. How can men “next-level” their work wardrobe while still looking and feeling crisp and cool? A: That’s the million-dollar question. Fortunately, there are great solutions for the man who wants to look updated and professional, and also stay cool. The first place to start is with a new breed of dress shirt. There are two types. One is made by Mizzen+Main, and features a performance fabric that breathes, stretches and wicks away moisture. Bonus points for being machine washable and no-iron. The second type is crafted from soft, breathable cotton. With uniquely placed seams, this shirt offers maximum freedom of movement, optimal fit and excellent comfort. Now let’s talk pants. For a more modern office, the best solution may be a super soft, cotton-stretch, five-pocket pant in a tweed, by Halsey 44. They’re also machine-washable and have a tailored silhouette. Next-generation cotton chinos with just a touch of spandex are another option for staying cool, dry and comfortable, even on a long commute. As for jackets, a half-lining is ideal. French-facing or half-lining jackets that are lined only on the top allow for a lot of airflow. Q: What are you seeing for fall 2018? What looks new to you, but still work-appropriate? A: According to the international runways, it’s back to military camouflage, neon, western wear and sports themes – a real return to the 80s. For the rest of us, it’s all about clean lines and a straight pant that is neither skinny nor baggy. Think tailored and polished. I just have to touch on shirts again, because there’s real news here – specifically in collars. There’s a growing acceptance of the spread, cutaway and band collars versus the traditional forward-point. These three new types of collars – with or without a tie – demonstrate real style and confidence, especially when the shirt has a narrower, more tailored fit. Q: What are your recommendations – if any – for wearing jeans to work? A: Assuming denim is acceptable at one’s workplace, I say go for it, absolutely. There are so many well-tailored, dark-wash jeans that are totally appropriate. My son Jelani Martinez, who serves as Sartorial’s creative director, often wears Raleigh Jeans. They’re dark-wash and handcrafted in downtown Raleigh, North Carolina, and feature a signature red chain-stitch hem and a bit of stretch, so they’re easy to get into. Q: Any new brands at Sartorial Inc. that you’re especially excited about? A: We’ve recently added Blujacket four-season suits and have also expanded our range of Crittenden French-facing sports jackets and suits. We just launched our made-to-measure suits and shirts and that’s really taken off. 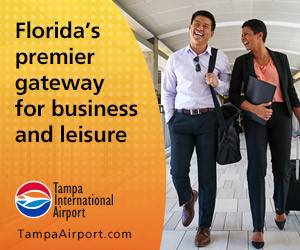 The professional ranks have been growing in the Tampa Bay market, and our affordable made-to-measure, crafted with Italian fabrics, offers a great combination of quality and value.